This interview on needing a tax coach appeared on The Money Answers Show. 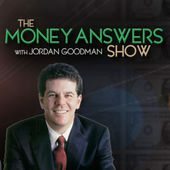 The Money Answers Show with Jordan Goodman will provide you with a roadmap to making smart money decisions in every area of your personal finances. Join Jordan every Monday at 12 PM/PST 3 PM/EST for The Money Answers Show, on the VoiceAmerica Business Channel. Learn how and where to get the best deals on mortgages, cars, and insurance; find out the best ways to save for college and retirement, get out of debt, improve your credit rating, and save on your taxes. The Money Answers Show with Jordan Goodman will provide you with great tips on investment opportunities in real estate, stocks, annuities, and other investment vehicles. That’s The Money Answers Show with Jordan Goodman on the VoiceAmerica Business Channel, every Monday at 12 PM/PST.